Bladder cancer is a type of cancer that begins in your bladder — a balloon-shaped organ in your pelvic area that stores urine. It begins most often in the cells that line the inside of the bladder. Bladder cancer typically affects older adults, though it can occur at any age.The great majority of bladder cancers are diagnosed at an early stage — when bladder cancer is highly treatable. However, even early-stage bladder cancer is likely to recur. For this reason, bladder cancer survivors often undergo follow-up tests for years after treatment to look for bladder cancer recurrence. Middle layer: The middle layer is muscle tissue. When you empty your bladder, the muscle layer in the bladder wall squeezes the urine out of your body. Cancer begins in cells, the building blocks that make up tissues. Tissues make up the bladder and the other organs of the body. Normal cells grow and divide to form new cells as the body needs them. When normal cells grow old or get damaged, they die, and new cells take their place. Sometimes, this process goes wrong. New cells form when the body doesn’t need them, and old or damaged cells don’t die as they should. The buildup of extra cells often forms a mass of tissue called a growth or tumor. 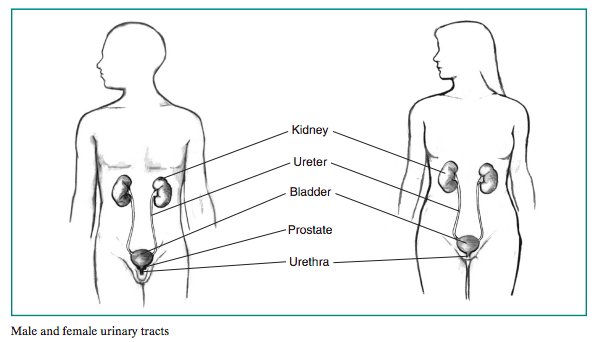 Tumors in the bladder can be benign (not cancer) or malignant (cancer). can spread to other parts of the body. Bladder cancer cells can spread by breaking away from the original tumor. They can spread through the blood vessels to the liver, lungs, and bones. In addition, bladder cancer cells can spread through lymph vessels to nearby lymph nodes. After spreading, the cancer cells may attach to other tissues and grow to form new tumors that may damage those tissues.